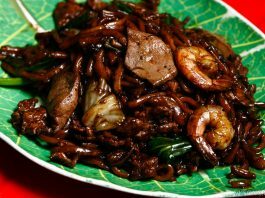 I used to think that Fried Hokkien Mee is a rather straightforward dish to produce. Well after tasting quite a few in town, now I know that is not entirely true. 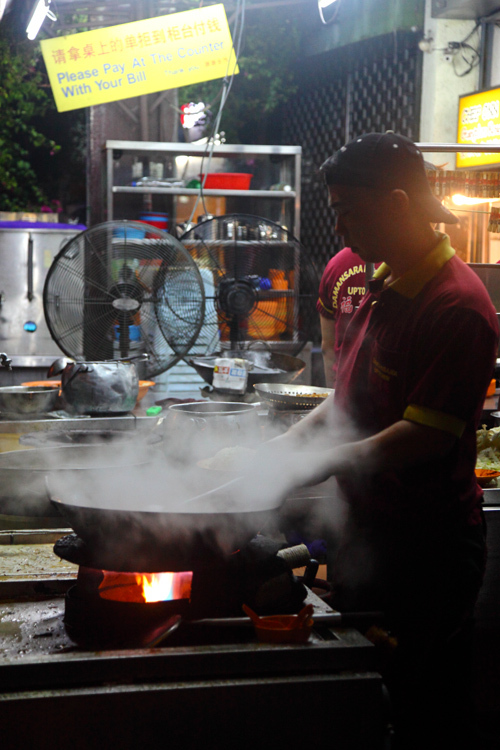 Some places could dish up delicious noodles but the sambal is meh, or vice versa. 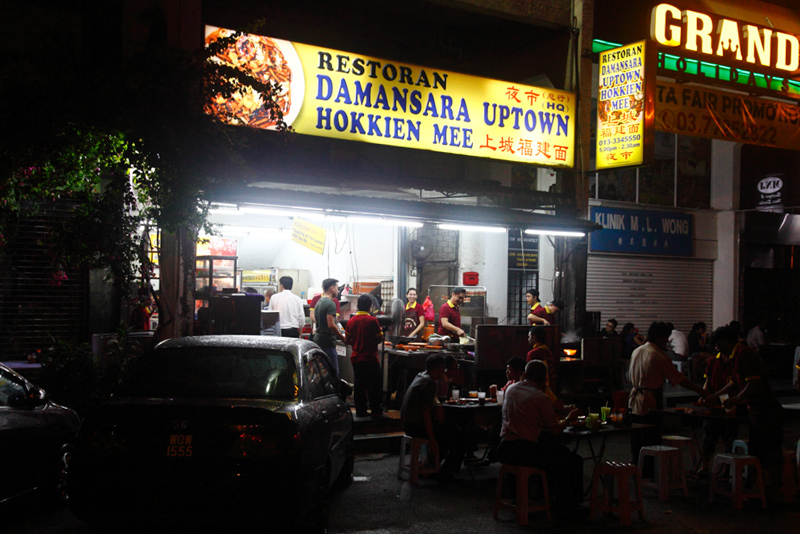 Restoran Damansara Uptown Hokkien Mee is one of the very few which could do both the noodles and sambal right, and with consistency in quality over the years. Hokkien Mee is undoubtedly the signature dish here, and extra portions of crunchy pork lard could be ordered if you’re a real die hard lover of it. Personally I feel the default amount is just nice but I have seen a friend who would go overboard and get 2 extra portions of lard for a serving of noodles. 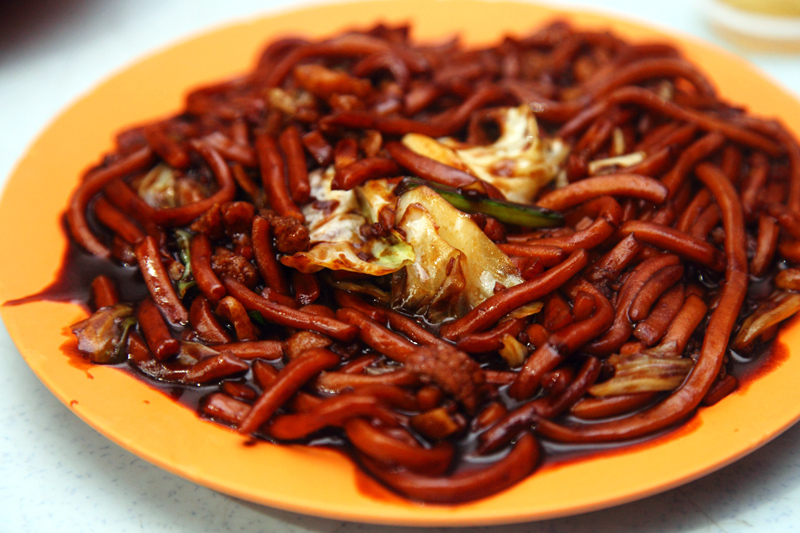 While you’re here you could also give the Hokkien Mihun a try. The thinner strands of vermicelli could soak up the flavor better compared to ‘dai luk meen’. 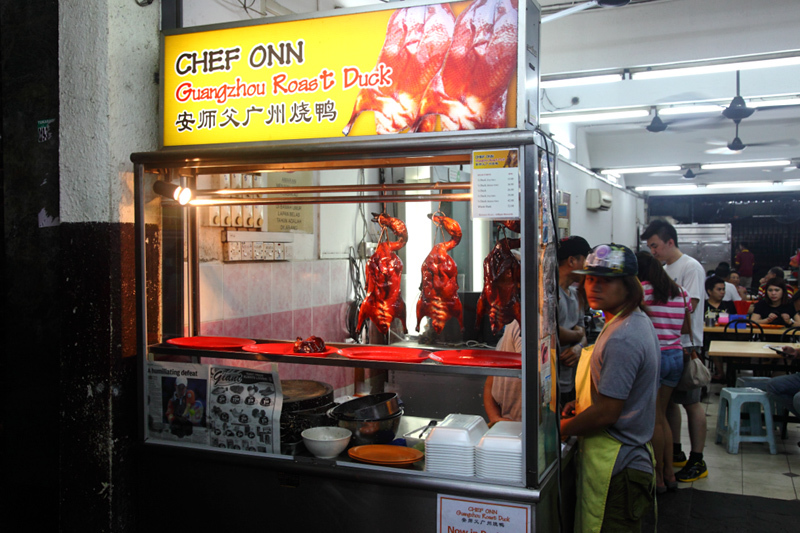 There’s an independent stall called Chef Onn in the restaurant selling Guangdong roast duck. 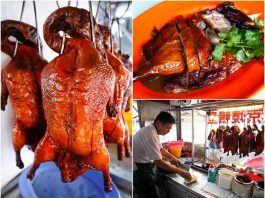 I’d never miss ordering their duck while eating here. 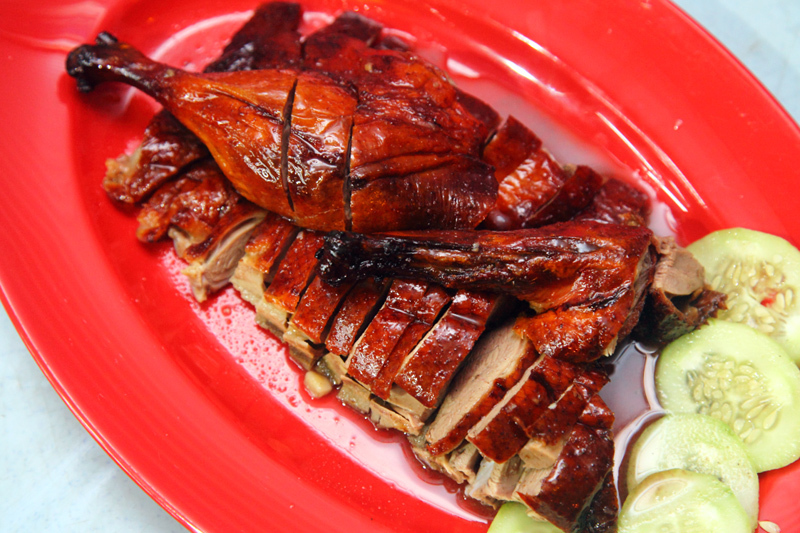 The quality seemed to take a slight dip though – maybe because it was late and the duck tasted past its prime. Nevertheless it was still delicious and I would recommend it to anyone who hasn’t tried this before. 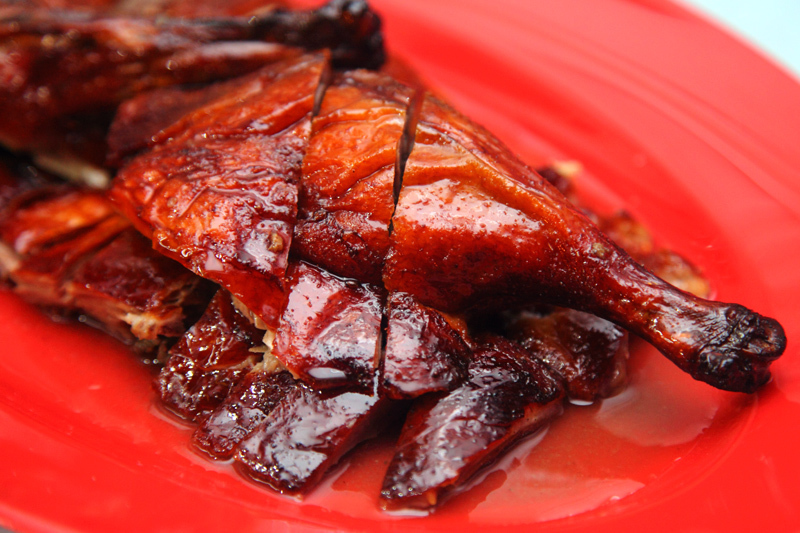 We usually order the Stir Fried La La to have something to nibble on while chatting after everything else is finished. 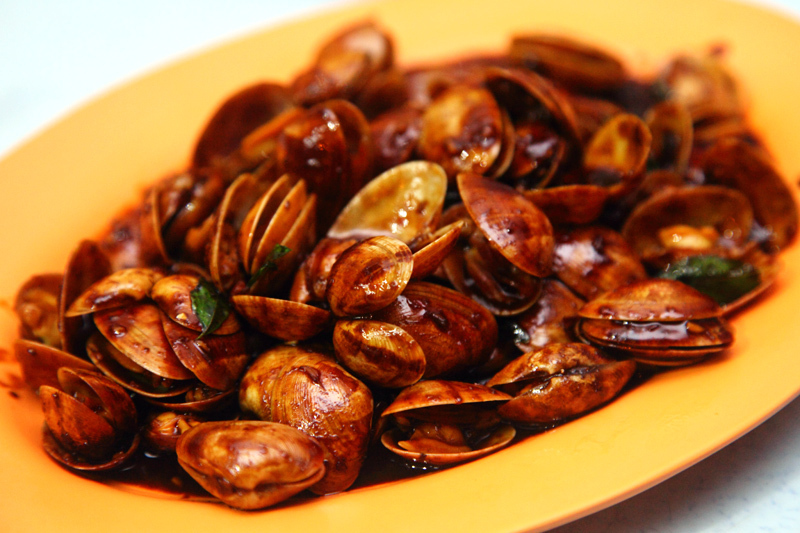 It won’t blow you away but the clams are usually fresh and plump so there’s nothing to complain about. It’s also good to know that locals are still handling the wok here and I hope this trend continues. Lastly, always opt to sit at the outdoor seating area because it’s extremely stuffy indoors. You wouldn’t want to go home smelling like charcoal.